And some of them ripe! You ought to have seen! We live in the middle of a county with bountiful berries this time of year, both wild and farmed. 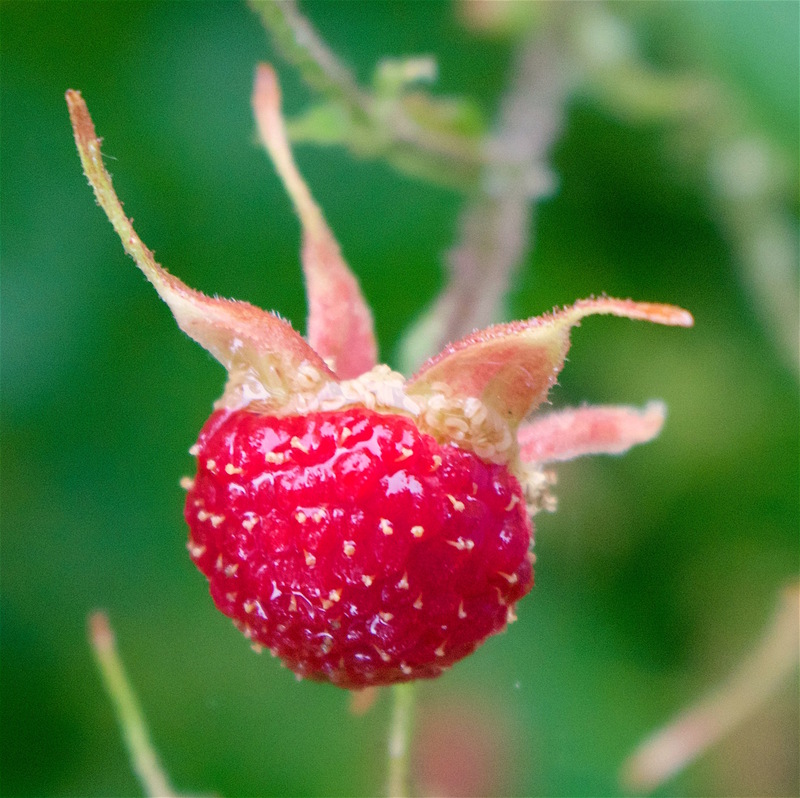 Just as sweet cherries are disappearing from the orchards and strawberry harvest finished a few weeks ago, now raspberries are going strong for almost three weeks and blueberries are hanging in heavy branch-busting clusters begging for relief. 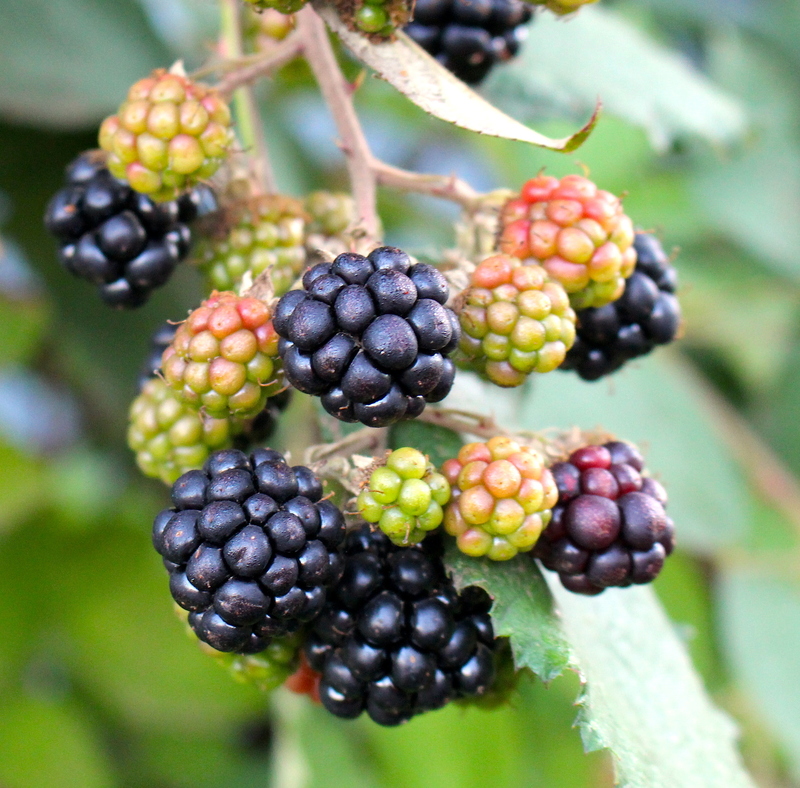 Domesticated marion blackberries are already in the berry stands, but the wild evergreen and Himalaya wild blackberries are about two weeks from harvesting. 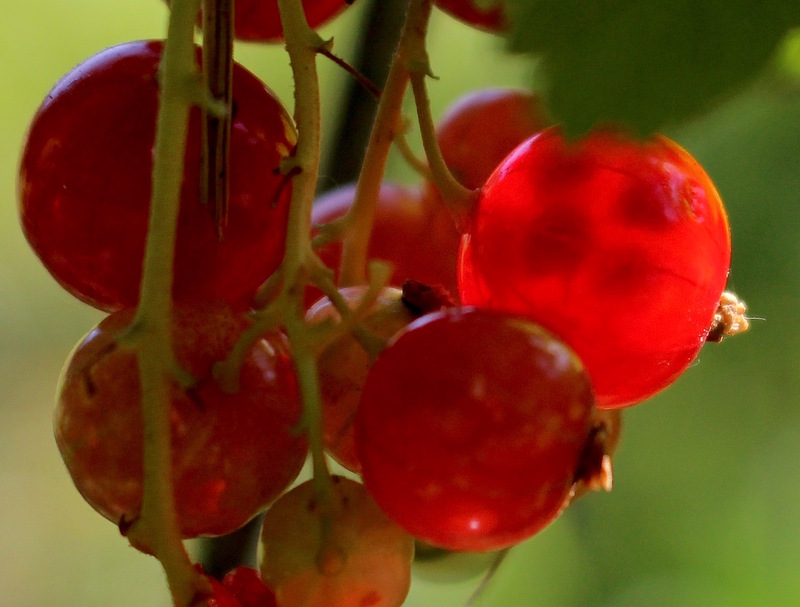 Local currants are shiny and glistening. There are only a few cranberry bogs left in our area, hampered by marketing issues that favor New England’s crop. 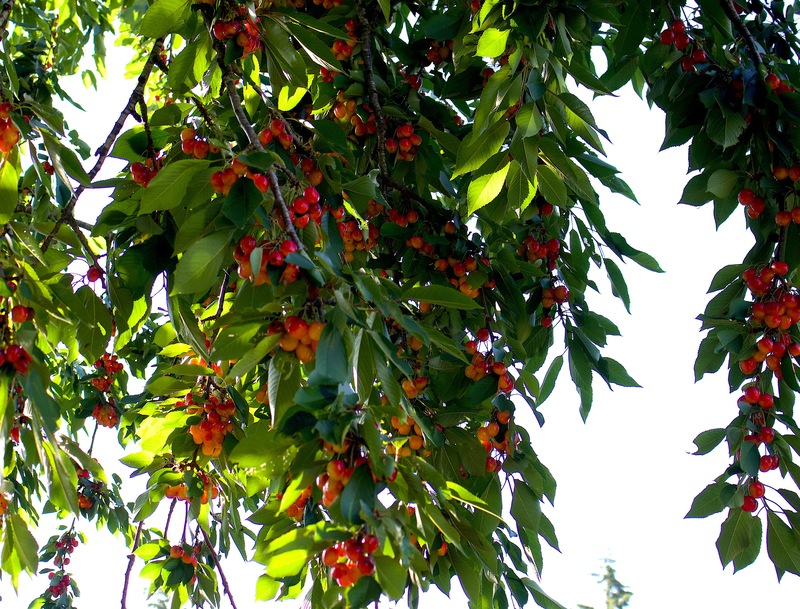 It is truly a miracle to live within a few miles of all this lovely fruit, with many of them growing wild in our own back yards and woodlands. 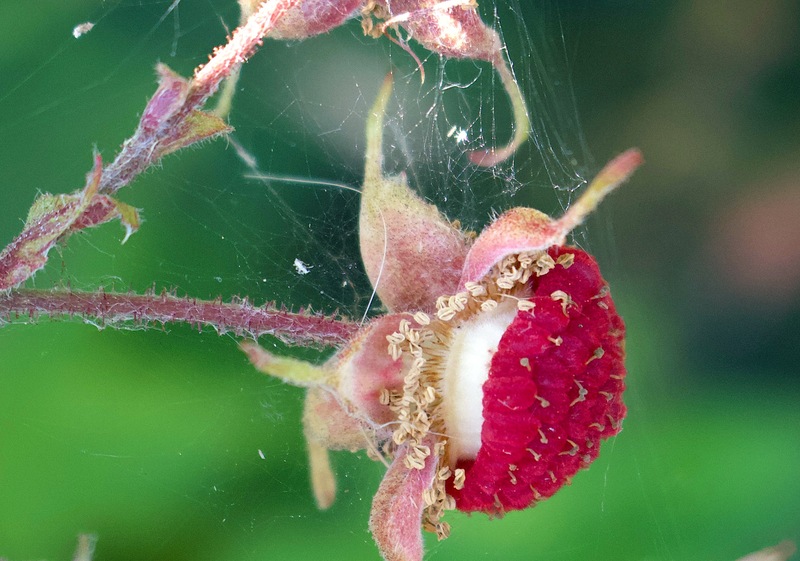 There are still wild strawberries in close-to-the-ground crawling vines with little roundish-shaped berries with a slightly tart taste, far more savory than the standard sweet juice laden market strawberry. 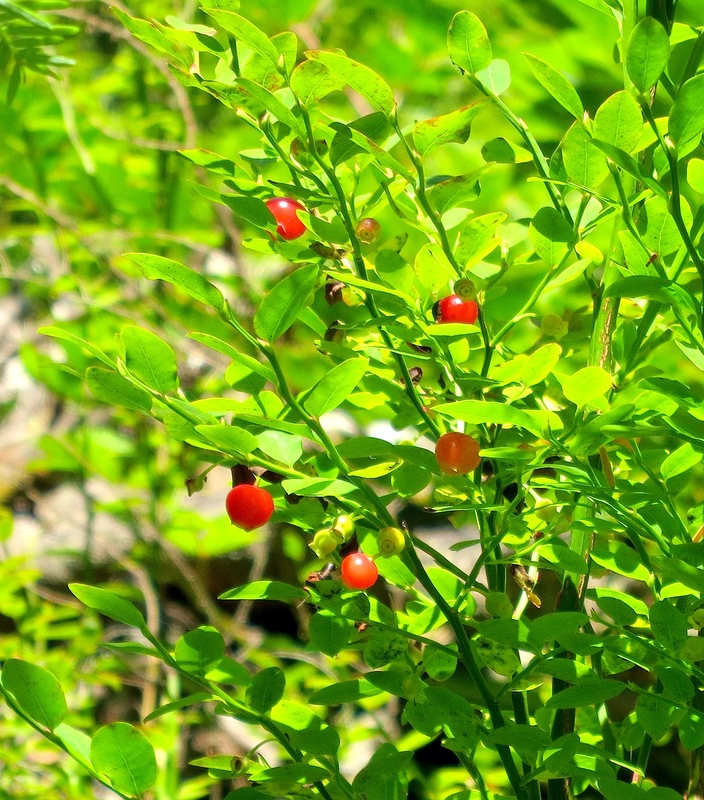 Thimble berries hang from wild bushes – salmon colored, red and black varieties. Orange huckleberries grow wild in the low lands, and purple huckleberries are happiest up in the foothills, a great treasure find for hikers. 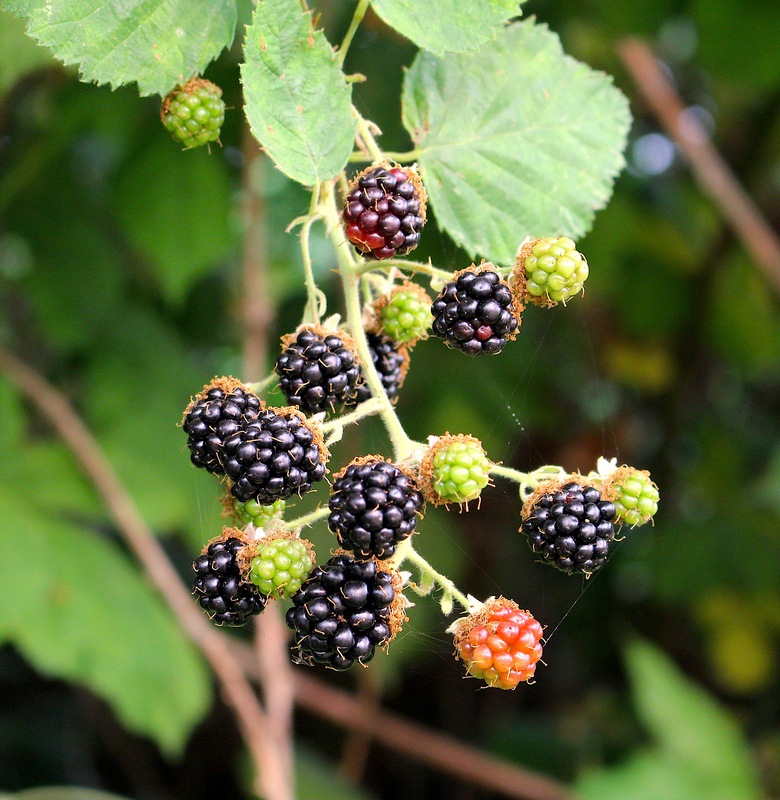 Most highly prized, however, are the sweet tiny wild blackberries that are ripening on gentle winding vines right now at the edges of the woods and fences, as well as in roadside ditches or around tree stumps. They command huge prices per pound because it takes such effort to find and pick them. 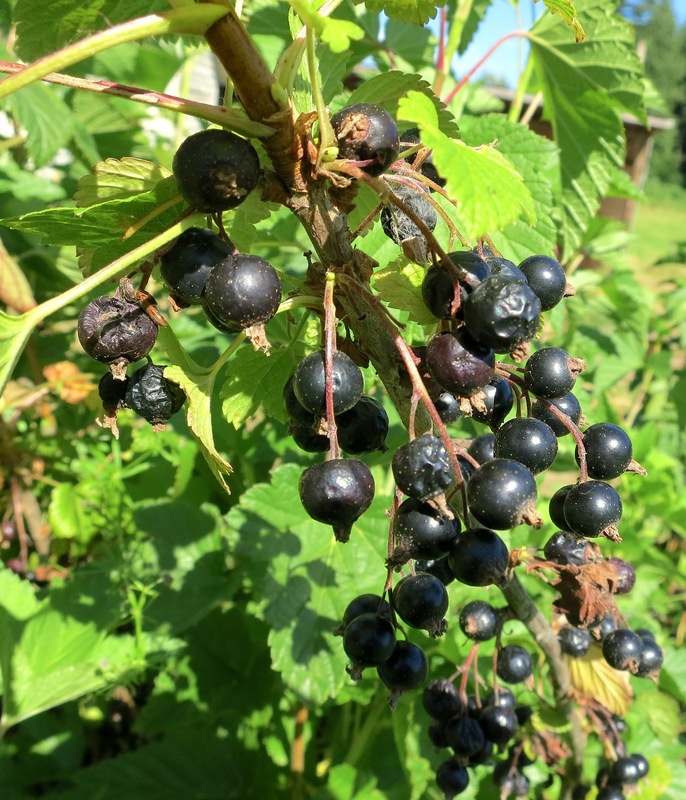 As a child of the Pacific Northwest, growing up on a farm with both wild and domesticated berry vines and bushes, this was simply part of summer as I knew it. 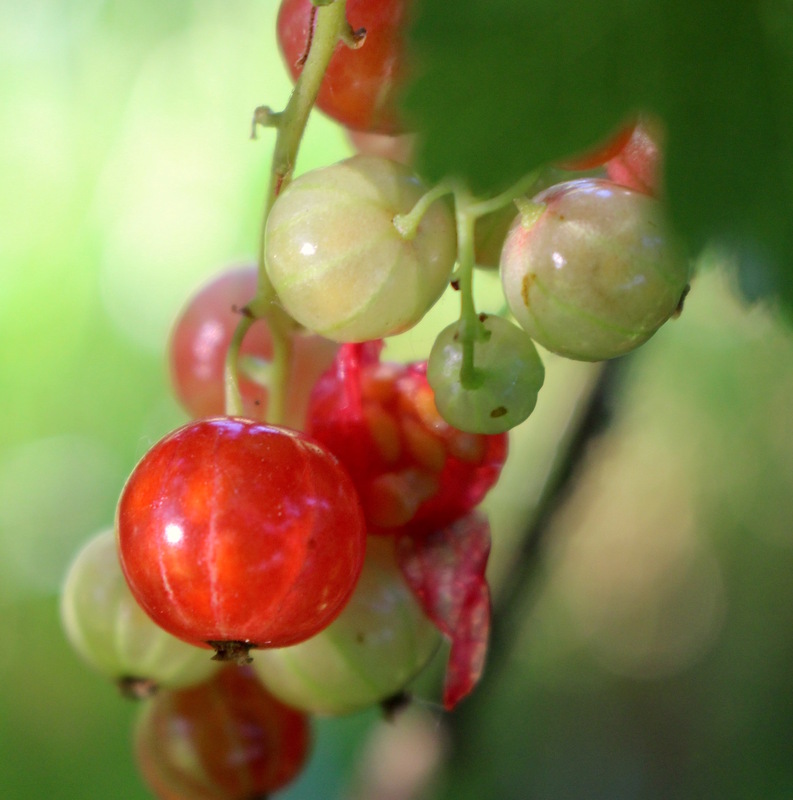 I watched the blossoms, then the forming fruit, then watched as the color would get just right, waiting to pick until the precise moment of ripeness before the birds would beat me to it. 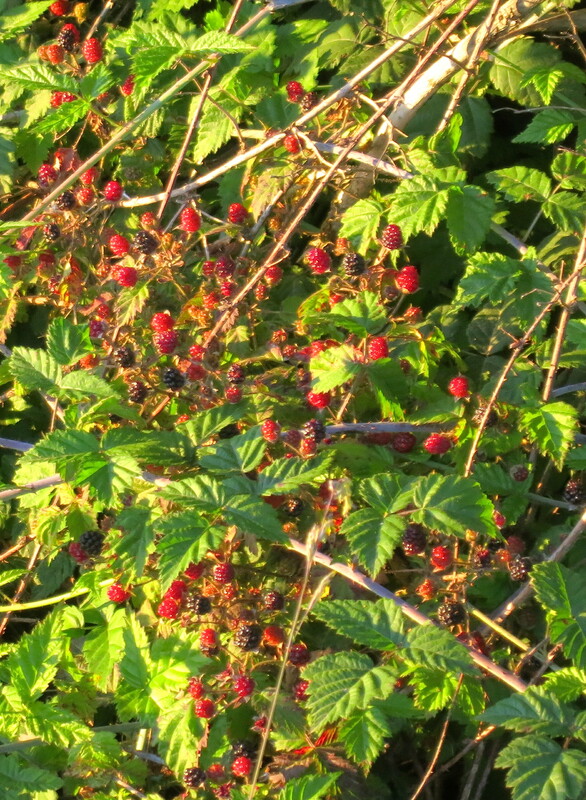 I also picked in the local fields as a summer job, including wild blackberries from our own woods, for 3 cents a pound. For the sweet wild blackberries, a yield of 75 cents was an exceptionally great day. I preferred blueberry picking most of all. When I now put a blueberry in my mouth, I transport back to those summer days that started at 6 AM, walking down the road to the neighbor’s berry field with pungent smelling peat ground converted from swamp to productive berry farm before the legislation that now prevents messing with wetlands. The bushes were tall, towering over my head, providing shade in the hot sweaty July sun. The berry clusters were easy to find, there were no thorns to shred sleeves and skin, and the berries made a very satisfying *plink* when they hit the empty pail. They didn’t smush, or bruise, and didn’t harbor many bees, spider webs or ugly bugs. They were refreshingly sweet and rejuvenating when a quick snack was in order. I wasn’t even aware, as I am now, that blueberries contain anthocyanins and other antioxidant chemicals believed to be helpful in preventing the growth of cancer cells. 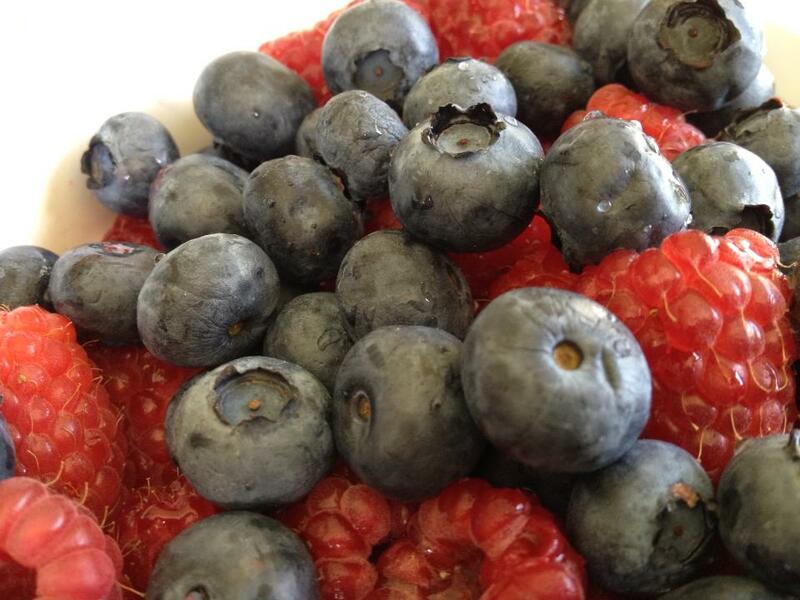 In short, blueberries were perfect then, and they are perfect now. There are now so many raspberry and blueberry fields in our county, the price per pound has dropped and the market is shaky. A few years ago one farmer put a full page ad in the local newspaper today, begging the public to come pick his ripe blueberries at 99 cents a pound, just to get them off his bushes. I stopped by another farm’s roadside stand and chatted with the Sikh owner and his three young sons as they measured out my 5 pounds of luscious blueberries. He was philosophical about the low prices, explaining he was a patient man, and he hoped the bushes would yield blue gold for his family for a very long time, even if some years are low price years. 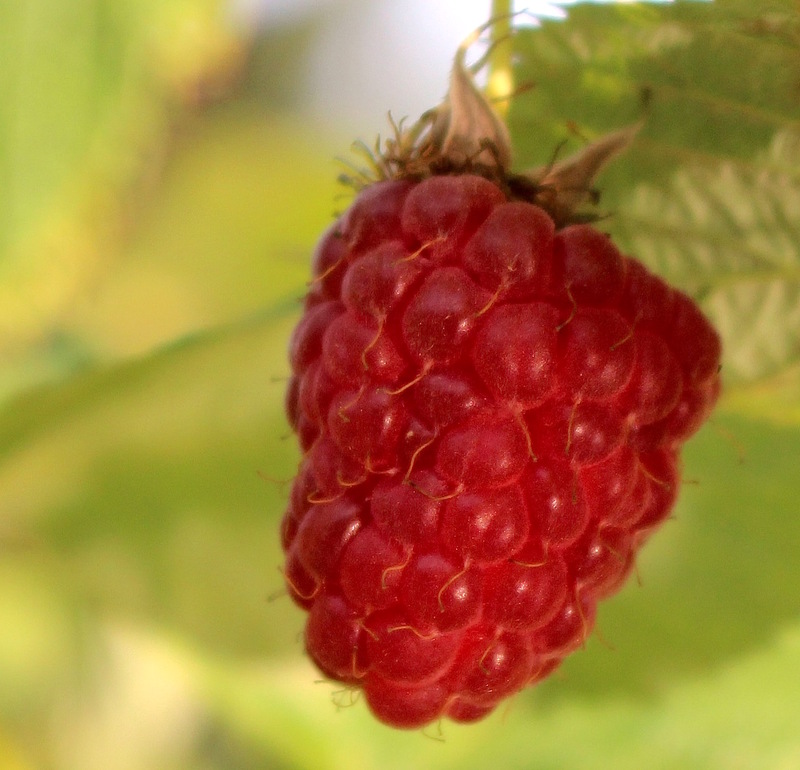 Some raspberry farmers aren’t feeling so optimistic this year as their primary corporate buyer backed out at the last minute, and the fragile berries are just falling off the bushes for lack of a place to be processed. Sadly, it is possible some berry fields will be torn out and converted to some other crop with more certain market potential. As a fellow farmer, I am aware of how one’s carefully tended crops can go to waste, whether it is due to weather or pests or the vagaries of the market. I hope our berry farmers can persist through the hard times so the exquisite perfection of a local berry bounty can continue in such variety of colors, shapes and sizes, even some as big as the end of your thumb.